The legendary Canadian singer and songwriter, is considered to be one of the most influential musicians of his generation. Neil Young was born on November 12, 1945 in Toronto, Ontario in Canada. 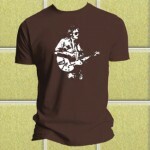 Neil started his solo journey of his music career in the 60s in Canada before finally moving to California. He became the co-founder of the band ‘Buffalo Springfield’ after which he joined ‘Crosby, Stills & Nash’ band as their fourth member in 1969. He began a successful and critically acclaimed solo career when he released his debut album in 1968 through Reprise label. His second album titled ‘Everybody Knows This Is Nowhere’ was released in the year 1969 and peaked at #32 on Canadian Albums Chart and #34 on Billboard 200. Neil Young has been inducted into the Hall of Fame twice both as a solo artist and as a member of Buffalo Springfield. His music career has seen around 34 studio albums maximum of which have made the charts.